Phew…! It seems like January has just raced by and I think we have had more than our fair share of excitement and news! Our gruelling three day public inquiry for our planning application to build our larger school at Stubbings took place between 12th and 14th January in Maidenhead. Three barristers, one inspector and a host of supporters filled the Desborough Suite at Maidenhead Town Hall to witness cross-examinations, heartfelt pleas from parents and outstanding expert testimonials from our very own Head Lucy Barnes and Dyslexia Specialist Sue Wells. To read Sue’s powerful speech click here. She had us all in tears! 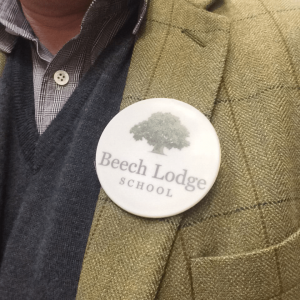 It is a shame that none of the objectors had come to visit the school – despite our invitations – perhaps they may have felt differently if they had. We have since heard that the deadline for us to hear back from the Secretary of State is 23rd May so fingers crossed and we’ll keep you posted! A HUGE thank you to everyone who came along to support us – including Simon Dudley our very own Deputy Leader of the Council (pictured) it is very much appreciated!